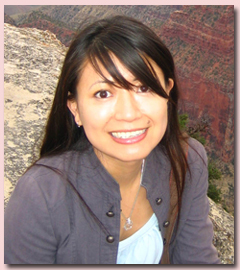 Donna T. Tong received her PhD in English from the University of California, Irvine, where she wrote her dissertation on Asian American literature examining the intersection of linguistic hierarchies with racial hegemony as represented and refracted in selected works of both prose and poetry. Her interests are primarily in ethnic literatures with a focus on critical race theory, gender studies, and trauma theory, from Li-Young Lee’s poetry as minor literature to posthuman technologies and trauma in Mamoru Oshii’s Ghost in the Shell films. Her up-coming project is a study of Hawaiian Creole English writings (or colloquially known as “pidgin”) within the context of Asian American studies and Asian settler colonialism.